The Chief Justice of India, Justice K. G. Balakrishnan, on Sunday called upon the stakeholders in judicial system to extend whole-hearted support to the para-legal and legal aid training programme conceived by the National Legal Services Authority. Launching the nation-wide training programme at the Rajiv Gandhi National Institute of Youth Development, Sriperumbudur, the Chief Justice said the programme was launched with the objective of ensuring access to justice for the marginalised sections. Noting that conduct of ‘lok adalats’ and provision of legal services to the poor and needy through the NLSA and State-level LSAs had not brought in the desired results in terms of providing speedy justice, Mr. Balakrishnan said mass mobilisation of individuals with the inclination and capability to provide legal assistance to the poor and needy would help prevent legal disputes. “It will be easy to prevent legal disputes if awareness of legal rights and laws is created among the general public. The large number of youth to be roped in as para-legal service providers will help achieve this objective”, he added. The training aims at identifying committed individuals as para-legal volunteers at district and taluk levels and equip them with knowledge and skills to act as intermediates between the people and legal service institutions at Central, State, district and taluk-levels. Union Law Minister M. Veerapa Moily said the objective of the judicial system was to render justice to everyone, even the one last in the row. At the same time, the Union Minister said that protracted litigations were hiccups in the system. “When I was Chief Minister of Karnataka, I found that several litigations over land acquisition blocked the implementation of Hassan irrigation project, an 18-year dream of ryots in that region. Subsequently, all litigations were cleared within a short period and the project was completed successfully to provide irrigation for 20 lakh acres since I felt justice denied to water is justice denied to everyone”, he added. The blueprint for the National Legal Mission has been prepared, Mr. Moily said, and the Ministry was engaged in evolving the second generation legal education system. “Hitherto, a lower-level judicial officer was able to reach up to the district or State-level judicial position only. Efforts are being made to change the legal education system so as to help legal officers entering at the lower-level of the system reach higher positions,” he said. Outlining the programme, the Chairman, National Consultation for Para Legal Training and Legal Aid Activities and Supreme Court Judge, P. Sathasivam said 400 out of 6400 blocks in the country would be covered under the programme initially. About 1000 members from NSS, Nehru Yuva Kendra Sankatan etc. would be trained at RGNIYD in association with Indira Gandhi National Open University, which is offering diploma course in para-legal services. Chief Justice of Madras High Court H. L. Gokhale, Madras High Court judge E. Dharma Rao, Vice-Chancellor of the IGNOU V. N. Rajasekharan Pillai, vice-president, RGNIYD, C.R.Kesavan, director, RGNIYD, P.Michael Vetha Siromony and others participated in the function. Later speaking to reporters, the Union Law Minister said the impasse relating to the new posting for former Karnataka Chief Justice P. D. Dinakaran would have to be dealt with by the judiciary. 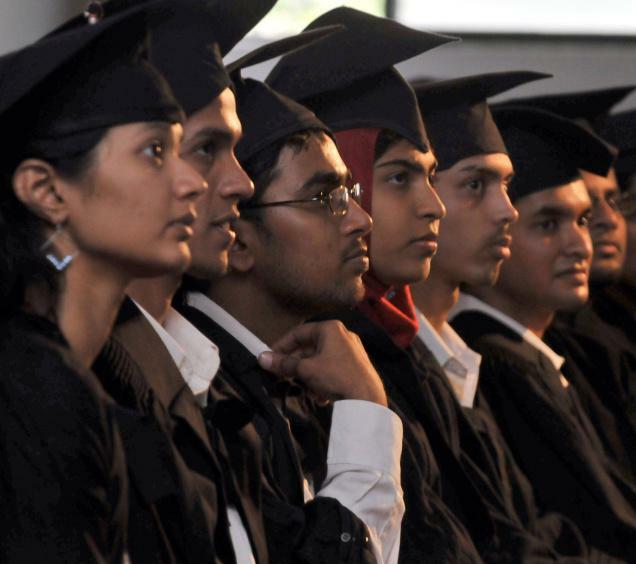 When asked whether the introduction of para-legal services in Indian legal system could be construed as a preliminary step to open up the Indian legal education system to foreign universities, Mr. Moily replied in the negative and said that it was an effort to raise the legal education system to international standards. National Consultation for Strengthening the Judiciary towards Reducing Pendency and Delays (New Delhi – October 24-25, 2009) Inaugural address by Hon’ble Mr. K.G. Balakrishnan, Chief Justice of India. ‘JUDICIAL ACTIVISM UNDER THE INDIAN CONSTITUTION’ Address by Hon’ble Mr. K.G. Balakrishnan, Chief Justice of India (Trinity College Dublin, Ireland – October 14, 2009). ‘Arbitration in the 21st century: Making it work’ Conference organised by the International Chamber of Commerce (ICC) (December 5, 2009 – New Delhi) Address by Hon’ble Sh. K.G. Balakrishnan, Chief Justice of India. Dr. B.R. Ambedkar Foundation lecture on Constitutional values and the promotion of labour welfare by Hon’ble Mr. K.G. Balakrishnan, Chief Justice of India (New Delhi – November 30, 2009). Inauguration of the Delhi High Court Arbitration Centre (November 25, 2009 – New Delhi) Address by Hon’ble Sh. K.G. Balakrishnan, Chief Justice of India. NATIONAL LAW DAY PROGRAMME Organised by Supreme Court Bar Association (SCBA) (November 26, 2009 – New Delhi) Address by Hon’ble Mr. K.G. Balakrishnan, Chief Justice of India. LAW DAY ADDRESS TO THE NATION by Hon’ble Mr. K.G. Balakrishnan, Chief Justice of India On the occasion of the Eve of National Law Day – 25th November, 2009.
International Conference of Jurists(Inaugural session, November 21, 2009 – New Delhi) Remarks by Hon’ble Mr. K.G. Balakrishnan, Chief Justice of India. Inauguration of Post-Graduate Diploma Course on Judging and Court Management at National Law University, Delhi (November 16, 2009 – Dwarka, New Delhi) Address by Hon’ble Mr. K.G. Balakrishnan, Chief Justice of India. Shri Anand Mohan Mathur Law Lectures Organised by High Court Advocates’ Bar Association, Jabalpur (November 14, 2009 – Jabalpur) Keynote address by Honb’le Mr. K.G. Balakrishnan, Chief Justice of India. Second Convocation of the National Law Institute University, Bhopal (November 14, 2009 – Bhopal)Address by Hon’ble Mr. K.G. Balakrishnan, Chief Justice of India. All India Conference of the Central Administrative Tribunal (CAT) (November 1, 2009 – New Delhi) Keynote Address by Hon’ble Mr. K.G. Balakrishnan, Chief Justice of India. Inauguration of National Law University, Orissa (October 31, 2009 – Cuttack, Orissa)Address by Hon’ble Mr. K.G. Balakrishnan, Chief Justice of India. Inauguration of Competition Appellate Tribunal(New Delhi – October 19, 2009) Address by Hon’ble Mr. K.G. Balakrishnan, Chief Justice of India. Inauguration of Lecture series – Terrorism and the Law (New Delhi – October 5, 2009) Address by Hon’ble Mr. K.G. Balakrishnan, Chief Justice of India. International Law Association – Regional Conference on International Trade Law and Legal Aspects of Trans-Border Investment(New Delhi – August 19-20, 2009) Address by Hon’ble Mr. K.G. Balakrishnan, Chief Justice of India. International Law Association – Regional Conference on International Trade Law and Legal Aspects of Trans-Border Investment(New Delhi, September 19-20, 2009)Valedictory Address by Hon’ble Mr. K.G. Balakrishnan, Chief Justice of India. National Seminar on ‘Fighting crimes related to corruption’ (Vigyan Bhavan, New Delhi – September 12, 2009) Address by Hon’ble Sh. K.G. Balakrishnan, Chief Justice of India. Programme in honour of Dr. N.R. Madhava Menon Organised by Society of Indian Law Firms and Bar Association of India (New Delhi – September 4, 2009) Address by Hon’ble Mr. K.G. Balakrishnan, Chief Justice of India . Third Annual Convocation of National Law University, Jodhpur(Jodhpur – September 5, 2009)Address by Hon’ble Mr. K.G. Balakrishnan, Chief Justice of India. Inauguration of Law Faculty – Jodhpur National University (Jodhpur – September 5, 2009)Address by Hon’ble Sh. K.G. Balakrishnan, Chief Justice of India. Inauguration of Rajasthan Branch of International Law Association(Jodhpur – September 5, 2009)Address by Hon’ble Mr. K.G. Balakrishnan, Chief Justice of India. Seminar on ‘Judicial Review of Administrative Action’ Organised by Confederation of Indian Bar (New Delhi – August 24, 2009) Inaugural address by Hon’ble Mr. K.G. Balakrishnan, Chief Justice of India. Independence Day Celebrations By Supreme Court Bar Association (SCBA) (New Delhi – August 15, 2009)Address by Hon’ble Mr. K.G. Balakrishnan, Chief Justice of India. CONFERENCE OF THE CHIEF MINISTERS OF STATES AND CHIEF JUSTICES OF THE HIGH COURTS (New Delhi – August 16, 2009) Speech by Hon’ble Mr. K.G. Balakrishnan, Chief Justice of India. Seminar on Unorganised Workers’ Social Security Act, 2008 New Delhi – July 12, 2009) Organised by National Legal Services Authority (NALSA) Address by Hon’ble Mr. K.G. Balakrishnan, Chief Justice of India. Conferment of Honorary Doctorate by Gulbarga University, Karnataka Raj Bhavan, Bangalore – August 9, 2009) Acceptance speech by Hon’ble Sh. K.G. Balakrishnan, Chief Justice of India. Inauguration of Armed Forces Tribunal (Vigyan Bhavan, New Delhi – August 8, 2009) Speech by Hon’ble Mr. K.G. Balakrishnan, Chief Justice of India. Seminar on ‘Cyber Crimes against Women’ – Public awareness meeting (Maharaja College, Ernakulam – August 1, 2009) Address by Hon’ble Mr. K.G. Balakrishnan, Chief Justice of India. Patna Law College Centenary Celebrations (Patna, Bihar – July 11, 2009) Address by Hon’ble Sh. K.G. Balakrishnan, Chief Justice of India. Centenary Celebrations of University College of Law, Calcutta University (Kolkata, West Bengal – July 18, 2009) Address by Hon’ble Sh. K.G. Balakrishnan, Chief Justice of India. Seminar on ‘Law and Environment’ Organised by Asia-Pacific Jurists Association (Punjab & Haryana Chapter) (Chandigarh – May 23, 2009) Address by Hon’ble K.G. Balakrishnan, Chief Justice of India. International Conference of Jurists on ‘Judicial Reforms’ (June 13-14, 2009 – London) Inaugural address by Hon’ble Mr. K.G. Balakrishnan, Chief Justice of India. C.K. Daphthary Memorial Lecture on ‘The importance of value-based politics’ by Dr. Somnath Chatterjee (April 24, 2009 – New Delhi) Presidential Remarks by Hon’ble Sh. K.G. Balakrishnan, Chief Justice of India. Civil Services Day – Valedictory Session (New Delhi – April 21, 2009)Address by Hon’ble Sh. K.G. Balakrishnan, Chief Justice of India. ‘Justice in the 21st century: The challenge of globalisation’ Introductory note for the plenary session at the Qatar Law Forum (Doha, Qatar – May 29-31, 2009) by Hon’ble Mr. K.G. Balakrishnan, Chief Justice of India. B.R. AMBEDKAR MEMORIAL LECTURE ( London – June 13, 2009) ‘JUDICIAL ACTIVISM’ AND THE ENFORCEMENT OF SOCIO-ECONOMIC RIGHTS – THE INDIAN EXPERIENCE by Hon’ble Mr. K.G. Balakrishnan, Chief Justice of India. Workshop on ‘Reporting of court proceedings by media and administration of justice’& ‘Implementation of National Rural Employment Guarantee Scheme (NREGS)’(April 26, 2009 – Guwahati, Assam) Address by Hon’ble Sh. K.G. Balakrishnan, Chief Justice of India. Seminar on ‘Rights based approach to disability and developments in light of the United Nations Convention’ (March 21, 2009 – New Delhi) Address by Hon’ble Shri K.G. Balakrishnan, Chief Justice of India. ‘Launching of Dispute Prevention and Management (DPM) Services’ Organised by Indian Institute of Arbitration and Mediation (IIAM) – Delhi Chapter (New Delhi – January 17, 2009) Comments by Justice K.G. Balakrishnan, Chief Justice of India. First Dr. L.M. Singhvi memorial lecture on ‘Law, Technology and Society: Its dynamics’ Delivered by Dr. A.P.J. Abdul Kalam, Former President of India (New Delhi – January 17, 2009) Presidential address by Justice K.G. Balakrishnan, Chief Justice of India. ‘THE CONSTITUTIONAL GUARANTEES OF RIGHTS AND POLITICAL FREEDOMS’ Working paper submitted for the programme to mark the 40th Anniversary of the founding of the Constitutional Judicature of Egypt (March 7-9, 2009) By: Justice K.G. Balakrishnan, Chief Justice of India. Bar Association of India – Golden Jubilee celebrations (April 9, 2009 – New Delhi) Address by Hon’ble Sh. K.G. Balakrishnan, Chief Justice of India. Ramnath Goenka Awards for Excellence in Journalism 2007-08 ( New Delhi – April 13, 2009) Address by Hon’ble Sh. K.G. Balakrishnan, Chief Justice of India. Conference of NHRI’s of South Asian Countries on ‘Human Rights Awareness and NationalCapacity Building’ (April 16, 2009 – New Delhi ) Address by Hon’ble Sh. K.G. Balakrishnan, Chief Justice of India. I would like to convey my greetings to all of you on the completion of 62 years since the declaration of our country’s independence. This day is not just another symbolic occasion. It is a living reminder of an important part of our self-identity as citizens in the world’s largest democracy. It is also a commemoration of the extraordinary sacrifices made by our freedom fighters. Each generation must of course respond to the particular social, economic and political challenges before it. In keeping with the vision and the foresight of the framers of our Constitution, we must also do our best to respond to the problems faced by our society. There is no doubt that democratic values can be deepened only if we ensure that all of our citizens have access to basic entitlements such as nutrition, housing, education and healthcare. To borrow the terminology developed by Professor Amartya Sen, our understandingof concepts such as ‘niti’ (design of our public institutions and policies) and ‘nyaya’ (the pursuit of substantive justice) should be geared towards developing the capabilities of our citizenry. If the government can play the foundational role of ensuring equitable access to such basic entitlements, then the resourcefulness of citizens themselves will lead them to personal and collective empowerment. This might be a simple idea to communicate but is indeed the existential question for examining our approaches to governance. The legal system must also contribute to the vital agenda of improving the capabilities of citizens. This places a special duty on both judges and lawyers who are often called upon to play central roles in resolving disputes about resource allocation. Whether it relates to questions about admissions to educational institutions, the provision of job opportunities or even the delivery of social welfare schemes designed to ensure better access to food and healthcare, it is imperative for the courts to give priority to concerns of distributive justice rather than those of benefits to private parties. In some cases,judges and lawyers have been confronted with underlying tensions between the competing notions of ‘justice for the masses’ and the ‘rights of a few’. These tensions have become prominent on account of increasing competition for resources such as land, employment and investment opportunities. In a gradually liberalizing economy, we need to be vigilant about the widening of existing socio-economic inequalities. Judicial interventions have been the instruments of distributive justice in the past and even more difficult questions will be brought before the courts in the future. We may disagree with each other on how to deliver justice in particular cases, but I hope that there is a broad consensus on the understanding of our constitutional values amongst the legal community. Ideas such as the ‘rule of law’, ‘equal protection before the law’, the protection of ‘personal liberty’ and the promotion of civicvirtues are at the core of these values. There are of course complications on account of the wide disparities among our people, but the first premise of a functioning democracy is that its citizens must learn to look past their mutual differences and resolve their disagreements through peaceful means. It is my hope that all of us who are part of the legal system will take the lead in promoting these values in our society. The true worth of a judge or lawyer cannot be gauged by the length of judgments or the amount of earnings alone. Real merit comes to be gauged by the social impact of the arguments and ideas presented in the courtroom. Independence Day is a good opportunity to remind ourselves about what our priorities should be. This annual conference is a vital opportunity for all of us to take stock of the changes that are taking place in the judicial system. More importantly it is a meeting ground for all us to air our views and arrive at a consensus on how to tackle the multiple challenges faced by our justice-delivery system. In our routine deliberations as well as in the public discourse,there is a onsistent emphasis on the arrears of cases pendingbefore the courts at various levels. For instance as per figuresavailable for June 30, 2009 – there were a total of 52,592 (Fifty Two Thousand Five Hundred and Ninety Two) cases pending before the Supreme Court, an aggregate of 40,17,956 (Forty Lakh Seventeen Thousand Nine Hundred and Fifty Six) cases pending before the High Courts and 2,71,19,092 (Two Crore Seventy One Lakhs Nineteen Thousand and Ninety-Two) cases pending before all the subordinate courts put together.1 In spite of these daunting numbers, it is important for us to concentrate our attention on devising solutions rather than dwelling on the extent of the problems. In recent times, I have repeatedly urged the need for expanding our judicial system by ensuring the expeditious filling up of vacancies as well as the sanctioning of more positions for judicial officers. There has undoubtedly been a chronic shortage of judicial officers, especially at the subordinate level and there are also some structural obstacles which discourage talented law graduates from joining the judicial services. In 1987, the 124th Report of the Law Commission had indicated that our judicial system needed to be expanded by atleast five times in order to meet the ‘judge to population’ ratio of developed nations. That is of course a very ambitious target which may take years to attain, but we must take gradual and firm steps in that direction. It has been heartening to note that a considerable number of vacancies at the subordinate level have been filled in recent months. As per figures available for June 30, 2009 – there were 2,783 (Two Thousand Seven Hundred and Eighty Three) vacancies out of 16,946 (Sixteen Thousand Nine Hundred and Forty Six) sanctioned posts. There is, of course, a compelling need for the respective State Public Service Commissions and the various High Courts to work in close coordination for filling up the remaining vacancies. In this respect, I urge all the State Governments to ensure that all of the sanctioned positions are filled up in a time-bound manner. The Union Government has also been very responsive to our demands for the establishment of more CBI Courts and FamilyCourts – with some concrete steps being taken in that direction. However, I would like to briefly draw your attention to the proposed Gram Nyayalayas scheme which would bring about a substantial change to the reach and quality of our justice-delivery system. The Gram Nyayalayas Act which was passed by the Parliamentin December 2008 – envisages the creation of courts at the level of Intermediate Panchayats or a group of contiguous Gram Panchayats. These village-level courts would be manned by judicial officers of a rank equivalent to a Civil Judge (Jr. Dv.) or a Judicial Magistrate First Class (JMFC) and they will be known as ‘Nyaya-Adhikaris’. It has been estimated that nearly 3,000 judicial officers will be needed in order to implement this scheme. There is tremendous potential in the Gram Nyayalayas scheme since the intention is to reduce the costs borne by litigants in approaching courts located at district-centres. The higher pendency figures do not necessarily mean that the Courts are becoming more accessible to all sections of society. Some academic studies also seem to confirm the thesis that the increasing caseload does not necessarily bear a correlation to improvements in access to justice for under-privileged anddisadvantaged sections. In other words even as we dwell on the size of ‘court-dockets’, there is a very real danger that many segments of our citizenry are being increasingly alienated from our judicial system.It is in this sense that our main worry should not be confined to the size of the case-load before the courts. Instead, our collective efforts should be directed towards devising and streamlining measures for ensuring that most of our citizens should have the ability as well as the incentive to take their disputes to the judicial system. Another worrying factor is the increasing disparity between the volume of civil and criminal cases pending before our subordinate courts. For instance, as per the figures available for June 30, 2009 – there were approximately 1.94 crore criminal cases pending as opposed to approximately 76 Lakh civil cases. There could be several explanations for this disparity. One possible reason is that more criminal cases are being filed since the Parliament has passed legislations in recent years which have created effective criminal remedies for disputes arising out of dishonour of cheques, cruelty in marriage and numerous offences under special legislations. It is quite reasonable to assume that stronger criminal remedies encourage more parties to move the criminal law machinery, which translates into more criminal cases being filed before the Courts. However, there seems to be an opposite trend in the civil justice system. One could very well argue that there is a comparatively lesser number of civil cases being filed since parties are wary of the undue delay and complications associated with civil litigation. This aspect deserves a lot of attention since the problems of the civil justice system are not given the same kind of media attention that is reserved for sensational criminal cases.While expanding the size of the judicial system is an importantobjective, I must also highlight the importance of pursuing several other strategies to streamline the administration of justice. All of you are conversant with the benefits of resorting to Alternative Dispute Resolution (ADR) methods, especially since civil judges are now empowered to refer disputes for resolution through Permanent Lok Adalats, Mediation and Negotiated settlements. Most of the High Courts and numerous District Courts have established ‘Mediation’ centres for the twin purpose of resolving disputes as well as trainingjudicial officers and lawyers in these methods. For many categories of cases filed before the courts – such as those relating to traffic offences and petty property disputes, methods such as conciliation and negotiation are far more appropriate than the traditional model of adversarial litigation. While the Legal Services Authorities have been increasingly organising Lok Adalats for many categories of disputes, it is also important to inform the general public about the utility ofthese methods. On account of incomplete information about the various options, an aggrieved party often chooses to proceed with lengthy-adversarial litigation instead of choosing more conciliatory methods. Even the Code of Criminal Procedure was amended in 2006 to include provisions for ‘plea-bargaining’ but public awareness about the same is quite limited. It goes without saying that all of us need to think about and promote solutions that need not always be ‘Court-centric’. However, there is also another worrying factor that demands our attention on a ‘war-footing’. It is evident that more and more parties are approaching the Courts with the passage of time and the same is reflected in the fact that the rate of institution of newer proceedings has consistently outpaced the rate of disposal of cases. In spite of all these structural problems, there have been somedecisive changes for the better. Of particular note, is the implementation of the E -Courts project under which thousands of judicial officers have been equipped with computer facilities. Information Technology (IT) tools are being progressively used in the administration of justice – especially for purposes such as notification of cause-lists as well as the publication of orders and judgments on court websites. Efforts are underway to devise comprehensive programmes which will help advocates, litigants and the general public to track the progress of ongoing cases. The National Judicial Academy (NJA) at Bhopal regularly organises programmes for judicial officers where they are imparted training in case-managementtechniques as well as knowledge about emerging areas of legalpractice and policy-changes. Special emphasis is placed on how a judge should be sensitive to the needs of litigants belonging to disadvantaged sections and must account for complications linked to social barriers such as those of caste, gender, class and religion among others. Most of the states have also established their own State Judicial Academies (SJA’s) which have intensified the training programmes for sitting judicial officers. There are of course many other issues which call for our careful attention and deliberation in today’s programme. I hope that all of us can address the problems faced by our justice-delivery system in an environment of mutual understanding and cooperation. Thank You! 1] Progress on implementation of the Resolutions passed in the previous Chief Justices’ Conference held on 17th and 18th April, 2008.
a] Action Taken Reports furnished by the High Courts and the Department of Justice, Ministry of Law and Justice, Government of India, are perused. b] Wherever required, the Chief Justices will take up the matter at the highest level of the State Governments for providing adequate funds for the implementation of the Resolutions. 2] Steps required to be taken for reduction/elimination of arrears and ensure speedy trial within a reasonable period. a] The High Courts will make scientific and rational analysis as regards accumulation of arrears and devise a roadmap for itself and jurisdictional courts to arrest arrears of cases taking into account average institution, pendency and disposal of cases and to ensure speedy trial within a reasonable period of time. [i] The High Courts will make efforts to set-up at least one Family Court in each district, besides additional Family Courts, wherever required. 3] Augmenting the infrastructure of subordinate courts. a] The High Courts shall take assistance of an expert in accounts for the purpose of preparation of the Scheme and total expenditure required therefor and thereafter submit a proposal to the State Governments. b] The Chief Justices will also take into consideration “the National Judicial Infrastructure Plan” , with such modifications as may be required, while taking up the cause with the State Governments. c] The Chief Justices of the High Courts shall take up the matter with the State Governments on the aspect of supply of electricity to subordinate courts during working hours and to impress upon the State Governments to ensure that no power cuts be allowed during courts working hours and generator sets, as back-up supply for electricity, be installed in the court complexes, especially in rural areas having acute power shortage. In order to ascertain the areas in the States facing acute power shortage, the Chief Justices of the High Courts will submit a proposal to the State Governments after receiving a report in that regard from the Judge in-charge of the district concerned. d] The matter be also taken up at the Joint Conference of Chief Ministers and Chief Justices to be held on August 16, 2009. 4] Progress made in setting up and functioning of evening/morning courts in subordinate courts. The Chief Justices of the States, where morning/evening courts in subordinate courts have not so far been set-up, will take up the matter with their respective State Governments to implement the Resolutions passed in the Chief Justices’ Conferences in the years 2007 and 2008, and such courts be setup at the earliest, wherever found feasible, to deal with cases involving petty offences, including traffic, municipal offences and cases arising out of Section138 of the Negotiable Instruments Act, 1881. 5] Strengthening of vigilance cells in the High Courts and progress made in setting-up of vigilance cells in each district. a] The Vigilance Cells will be under the direct control of the Chief Justices of the High Courts. b] All complaints, in the first instance, will be placed before the Chief Justice of the High Court, who will refer the same to the Vigilance Officer of that Court. The Vigilance Officer, upon inquiry, will submit a report to the Chief Justice in that regard. In case an inquiry is to be proceeded with for the purpose of imposing minor/major penalty, the complaint will be referred to a Committee of Hon’ble Judges, to be nominated by the Chief Justice of the High Court, which may also include the Hon’ble Judge, in-charge of the place where the delinquent officer is discharging his functions. The cases relating to major penalties only, such as compulsory retirement, dismissal or removal, be placed before the Full Court of the High Court. Complaints and inquiries be disposed of as early as possible, but not later than one year. 6] Progress made in setting-up of Fast Track Courts of Magistrates and Fast Track Civil Courts. 7] Establishment of Gram Nyayalayas. a] The matter regarding continuation of Fast Track Courts of Sessions beyond 31st March, 2010, be taken up with the Central Government. b] The Chief Justices of the High Courts may constitute a committee of Judges to assess the number of Gram Nyayalayas and places where they are required to be located for the purpose of Gram Nyayalayas in the first instance. c] For the purpose of setting up of Gram Nyayalayas at the grass root level in rural areas, the Central Government be impressed not to insist upon matchinggrant to be allocated by the State Governments and the matter in this regard be taken up at the Joint Conference of Chief Ministers and Chief Justices to beheld on August 16, 2009. 8] Progress made in modernization and computerization of justice delivery system, establishment of E-courts and video conferencing facilities. a] The Chief Justice of India be requested to nominate a Committee to consider the present status and progress made in modernization and computerizationof courts and to submit recommendations. b] The note submitted by Hon’ble Mr. Justice P.K. Balasubramanyan, Chairman, E-Committee, be also placed before the Committee to be nominated by Hon’ble the Chief Justice of India. 9] Strengthening of A.D.R. system, including mediation and conciliation. a] The High Courts shall expedite adoption and implementation of the National Plan for Mediation with such modifications, as deemed necessary. b] More number of mediation centres be established at the district level. c] Hon’ble the Chief Justice of India be requested to nominate a Committee to consider the question of imparting training to the trainers and constituting anational panel of trainers for training the mediators. The Report submitted by Hon’ble Mr. Justice S.B. Sinha, former Judge, Supreme Court of India, be alsoplaced before the said Committee. 10] Strengthening legal aid systems. a] The Chief Justices of the High Courts will appoint a Committee of Judges to monitor the legal aid system. b] Only competent young advocates, who are motivated and have zeal to work for legal aid be appointed for legal aid work. 11] Financial autonomy to the High Courts. complexes, inclusive of electricity back-up by way of generator sets, computerization and residential quarters, etc. b] The Chief Justices of the High Courts be delegated with powers to appropriate and re-apropriate funds, whenever required, within the budget allocated by the State Government for the judiciary of the State. c] The matter be taken up at the Joint Conference of Chief Ministers and Chief Justices to be held on August 16, 2009.
d] The Chief Justices of the High Courts will take up the matter with respective State Governments to suitably increase the allocation of funds so that budgetary demands of the High Courts and subordinate courts could be met. 12] Holding of courts in jail by every Chief Metropolitan Magistrate or the Chief Judicial Magistrate or Metropolitan Magistrate/Judicial Magistrate of the area in which a district jail falls, on regular basis to take up the cases of those undertrial prisoners who are involved in petty offences punishable upto three years or are keen to confess their guilt. a] The Chief Justices of the High Courts will expedite the matter with the respective State Governments for the purposes of holding of courts, in jail, of Chief Metropolitan Magistrate/Chief Judicial Magistrate or Metropolitan Magistrate/Judicial Magistrate, wherever possible, in terms of the Resolution passed in the Chief Justices’ Conference in the year 2003.
b] The Chief Metropolitan Magistrate/Chief Judicial Magistrate or Metropolitan Magistrate/Judicial Magistrate, shall discharge obligation keeping in view the principles of `Plea Bargaining’ as enshrined in Chapter XXI-A of the Code of Criminal Procedure, 1973, and confessions in petty cases. c] Advocate provided by the District Legal Services Committee/State Legal Services Authority be also deputed, wherever not deputed, in jail to work in the aid of under-trial prisoners for providing requisite services to them to present their case before the Chief Metropolitan Magistrate/Chief Judicial Magistrate or Metropolitan Magistrate/Judicial Magistrate, as the case may be. 13] Increase in the strength of Judges of the High Courts and Subordinate Courts. b] The matter be taken up with the Central Government that 1/4th of the increased sanctioned strength in the High Courts be of additional Judges and remaining 3/4th will be of permanent Judges. c] The Chief Justices will make recommendation for increase in strength of Judges of the High Courts and subordinate courts, after taking into consideration the pendency of cases and other relevant criteria for calculating the requirement of number of judges. The matter be taken up at the Joint Conference of Chief Ministers and Chief Justices to be held on August 16, 2009. 15] Strengthening of training of Judicial Officers. a] The National Judicial Education Strategy prepared by the National Judicial Academy be adopted and operationalized by the High Courts. b] The Chief Justices of the High Courts will consider the desirability of nominating an Academician to the State Judicial Academies, after adjudging his eligibility and suitability to the post. 16] Increase in the ratio of appointments to High Courts from amongst Judicial Officers to fifty per cent of the Judges’ strength of the concerned High Court instead of the present one-third. 17] Progress made in setting-up of Juvenile Justice Boards. b] The Chief Justices of the High Courts will expedite the matter with the respective State Governments for setting up of Juvenile Justice Boards, wherever they have not yet been set up. c] The Chief Justices of the High Courts will nominate a Judge to make periodical visits to Juvenile Homes, wherever set up, and the learned Judge may suggest remedial measures for the betterment of the conditions of the juvenile homes and inmates. d] Hon’ble the Chief Justice of India is requested to take up the matter at the Joint Conference of Chief Ministers and Chief Justices to be held on August 16, 2009. 18] Strengthening of Lok Adalat System. a] Steps be taken to further strengthen the Lok Adalats, it being an effective and efficient alternative mode of dispute settlement. b] More number of retired Judges be associated with the process of Lok Adalats for the purpose of increasing the rate of disposal of cases in Lok Adalats. c] Efforts be made to educate the people, especially the downtrodden, in respect of their rights by providing information on Doordarshan, local channels of the States and in any other manner. 19] Steps to be taken for filling up of vacancies in the High Courts and Subordinate Courts. a] The Chief Justices of the High Courts will take requisite steps to fill up the vacancies in the High Courts and Subordinate Courts anticipating the occurrence thereof in order to avoid delay in filling up the said vacancies. b] The matter relating to creation of additional posts for Judicial Officers during the period they are on training be taken up at the Joint Conference of Chief Ministers of States and Chief Justices of the High Courts to be held on August 16, 2009, and Hon’ble the Chief Justice of India be requested to form a Committee to make recommendations in this regard. 20] Formation of All India Judicial Service. 21] Any other matter with the permission of the Chair. implementation of the Resolutions as he looks after the affairs of the High Courts for the purpose of allocation of funds and other allied matters. Requisite amendment be made in the mechanism constituted for the purpose. The Chief Justices of the High Courts will explore the possibility of increasing the number of working days from 210 days to 220 days or increase the number of working hours by thirty minutes a day.